Top of the line—Made in Germany—Mafell tools are now available for sale at Toolnut, which I believe is only the second store to sell the brand in the US. If you thought Festool was expensive, you don't want to know how much Mafell tools cost; or maybe you do, when you see how cool some of them are. Some might consider Festool and their track saws to be the top of the line, but those people probably never heard of Mafell. 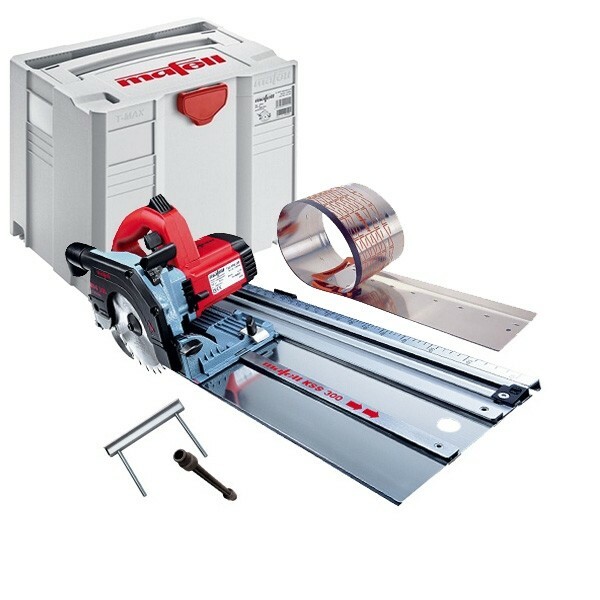 I first wrote about them when I discovered that they had a flexible rail for their track saw that could roll up to fit inside its toolbox along with the Mafell track saw. If it wasn't for the price of over $1,000, I would be an owner of that saw. While Festool touts their quality and engineering, even Festool owners that have used both products say that Mafell is even better. They say Mafell delivers more power, and their tools are built like tanks. If you want a saw that will last you a lifetime, Mafell seems to be the way to go; because after spending over $700 for a jigsaw, you would not want to buy another one in your lifetime.